I am a student at Barton Peveril College, which you visited a few months ago. Firstly I would like to say how engaging and interesting your talk was and I was telling all of my friends about it afterwards! This encouraged me to buy your book which I have just finished reading recently. If you don't mind, I have a few questions that I thought of whilst reading your book. I hope there's not too many for you to answer. We are now studying 'Beliefs' in Sociology and I noticed how both you and Wild Woman turned to religion to help you cope with your time in prison. Why do you think this helped you? It sounds strange but do you ever think it was almost destiny that took you to prison in order to become a better person than you would have been without the experience? Meditation helped me tremendously. It calmed my mind down. Facing a life sentence, I couldn’t stop worrying if I’d ever be free again. The uncertainty was the hardest part of the punishment. My brain was constantly in overdrive, releasing unhealthy stress hormones such as cortisol, pushing me to the brink of mental exhaustion and madness. Meditating for months on end, sometimes for several hours, short-circuited the negative thought loop I was stuck on. My brain went quiet. I felt altered states of consciousness. The end result was less stress and unhealthy hormones. Meditation is a powerful coping tool. Yes, I often think that destiny took me to jail to make me become a better person, and I wonder where destiny is leading me now. Another thing that really got to me was the violence that you described. After your presentation I actually went on YouTube and looked at one of the videos which I had to stop halfway through because it was too harrowing. You mentioned you became desensitised to it but were you always detached from it or did you find yourself following the same mind set as the other prisoners? At first, I went into shock. Most of the newcomers had the same look as if they couldn’t believe what they were seeing in a world that revolved around violence. Over months, seeing daily acts of violence made the shock wear off, until I had what the prisoners call “dead eyes” – a face not showing any emotional weakness or sensitivity. It’s a mask prisoners wear as they learn, often the hard way, that weakness is quickly exploited by predators. Finally, I would just like to ask your view on the current prison system both in the UK and USA. Personally I feel it doesn't work as it leads to the same problems just in a more confined space and leads prisoners to lead a deviant career without changing their behaviour in the future. Do you think you would have benefitted more from a different form of punishment or know of those who you think would have? I benefitted from my punishment, but most I saw did not. In America, the justice system is simply a business model for various interests, including private prisons and politicians, to make money by exploiting mostly non-violent drug offenders, people with addiction issues who need treatment. They are often non-whites from poor neighbourhoods who can’t afford to defend themselves with pricey lawyers. They are further criminalised in prison, where violence and drugs are a way of life. 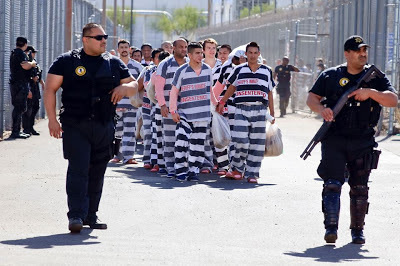 They get out unemployable and commit more crimes, which keeps the prison industries in business. I won't be expecting you to be able to answer all of my questions but I was very inspired by your experience and also found myself questioning similar things whilst studying 'Crime and Deviance' in Sociology. I would be really grateful if you would be able to answer just a few. The facts on some of the 18 set up by corrupt prosecutors and detectives out to "solve" murder cases to advance their careers. Prosecutors like Noel Levy and Sherri Bevan Walsh who suppress evidence and coach witnesses to lie. These prosectors and detectives are the real murderers in these cases. Unfortunately, I’ve been a bit under the weather. Something has gone haywire, and I’m having a few problems walking again. I’m getting around, but I have to use my cane. I’ve also managed to develop an infection that has caused the lymph nodes in my neck and under my left arm to swell. I’ve been on antibiotics for the last two weeks. The swelling has gone down some, but I still look like I’ve got a golf ball stuck in my throat. My chemo port is blocked again. I have two options. 1: They take me to the chemo clinic and they work their magic and manage to clear the blockage or 2: I have to go back to hospital and have the port surgically repaired. I’m hoping for 1 but expecting 2. Well, if nothing else, my life isn’t boring. Thank you for being an emergency contact in the event of my death. I can’t begin to express how much of a relief this is to me. My terminal health care needs are relatively simple. I wish to be kept reasonably pain free, but I do not under any circumstances wish for my life to be prolonged by means of artificial circulation or breathing, nor do I wish to be artificially administered food or fluids. I hope I don’t sound selfish or defeatist, but to be honest, Shaun, I’m tired. I’m plum worn out. I know I can do the chemo again, I’m just not sure if that’s the right thing to do. Yea, I know I’m snivelling and sounding weak, maybe I’m just depressed right now, but things do seem rather bleak and my prospects aren’t exactly the greatest. Thank you again for everything you’ve done for me. I appreciate it more than you’ll ever know. I met Sandra at Towers School in Ashford, where she amazed the students with an important cautionary tale. Sandra was sentenced to death in Thailand for attempting to smuggle heroin out of the country. Her story was featured on Banged-Up Abroad (watch episode here), and her book, Forget You Had a Daughter is well worth a read. Link to Sandra's talk to schools. Link to disturbing video of guards watching Tony Lester bleed to death: http://www.youtube.com/watch?v=Nhct543_KR8 The Arizona Department of Corrections fought in court to try to prevent this footage from being aired. 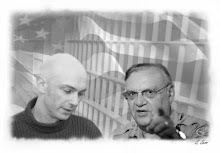 Pic of my latest facebook friend Constantine Yakubovski in Sheriff Joe Arpaio's jail in 2009. Arpaio's guards made him stand near the front of the immigration parade to give the media a false impression of how international the operation was - as opposed to it just being Mexicans. Constantine just got in touch after reading Hard Time. Just got back from speaking to a sixth form in Dorking, overwhelmed by a fantastic reception - the type that puts me in a good mood for the rest of the day. Pic with Bella and Jack. Please tell the students at T-Bone Appreciation Society that I have read and appreciate all of their comments on my Facebook wall. Tell them things are terrible in Sheriff Joe Arpaio’s jail. We get no sunshine, no exercise or running, nothing but two meals a day and a very small 13-inch TV fixed to a wall 20 foot in the air. Two buns with peanut butter in the morning with an orange or a grapefruit, and some type of slop in the evening that’s whatever old meat they’ve got on hand mixed with beans and water. It’s called slop! It’s not enough to keep my strength up, and I have no money for commissary. There are 70 guys in each pod, 35 out at a time for showers. When I get free, I will be out there in England, and you can finish writing my story. How is your niece, Yasmin, doing? I am praying for her. Each one, teach one. Steel embrace. Strength and honor. Should Smoking Be Banned In Prisons? 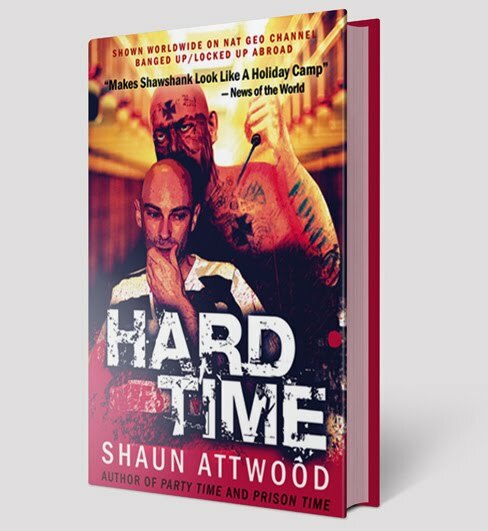 I've got a BBC West Midlands live radio interview tonight with Stuart Ellis after 10pm about smoking being banned in UK prisons and whether UK prisons are too soft vis-a-vis my US jail experience. Any thoughts on what to say please? How did you manage to adjust to life after prison? What helped you get through every day of prison life? What made you think that the way to turn my life around is to talk to young people and show them the reality of drugs and prison? What advice would you give the person you were before you went to prison? Other than do not commit a crime ever again what have you learnt from being in prison? Prior to having your phone conversations tapped were you ever on the police's radar that may have been a pre-cursor to having your phone tapped or was it always like that? I am sorry that there are so many questions. I was just so interested about your talk and it got me thinking about how many human rights that were violated in prison that we take for granted. I found it so inspirational to see you completely turn your life around and try to help people not get to the stage you once had to endure. I hope to never forget you, your campaign and the important message you try to get across and thank you so much for sharing your story. It takes months to adjust back to society. My parents helped a lot. I was a bit institutionalised. I was used to being told what I could and couldn’t do. My mum said I was like a puppy dog following her around the house, awaiting orders. At first, it was hard to stop reacting as if I was in prison, but over time, I returned to normal. To adjust in a healthy way, I structured my life around positive interests, reading, writing, and lots of exercise, ranging from yoga to karate. Physical activity keeps me mentally strong. Writing books and talking at schools keeps me focussed. Support from my family, girlfriend, and blog readers. Forming friendships with fellow prisoners. Staying away from the drugs, drama and violence. Channelling my energy into the things I mentioned above, reading, writing, working out, doing yoga and meditation. What made you think that the way to turn your life around is to talk to young people and show them the reality of drugs and prison? When I first started talking to young people, I had no idea how they would react or if they would relate to my story. But after doing talks, and getting positive feedback from students and teachers, I realised how important it is for me to help others. It’s such a positive thing, it’s helped me turn my life around. Helping others fills me with positive energy, whereas my previous focus on making money at all costs filled me with tension. To stop and think about the consequences of what you’re doing because there’s always a price to pay in the long-run if you are breaking the law. Prison forced me to grow up. It crushed the irresponsibility out of me. It was an intense journey in trying to understand myself. I learnt to channel my energy into positive things, which has been the key for me to stay out of trouble. Prior to having your phone conversations tapped were you ever on the police’s radar that may have been a pre-cursor to having your phone tapped or was it always like that? Prior to the wire tap, some people had reported my Ecstasy dealing to the police.